Yesterday was Easter Sunday, the day the church celebrates Christ’s resurrection from the dead. It was also a pretty full-on day for me. I had the honour of leading worship at Faith Community Church’s Easter Service, serving with Fantastic Team 3 which is always a joy for me. For the first time in recent memory, our church also had a smoke machine. It was awesome (but not in the frightening sense per Ps Benny). 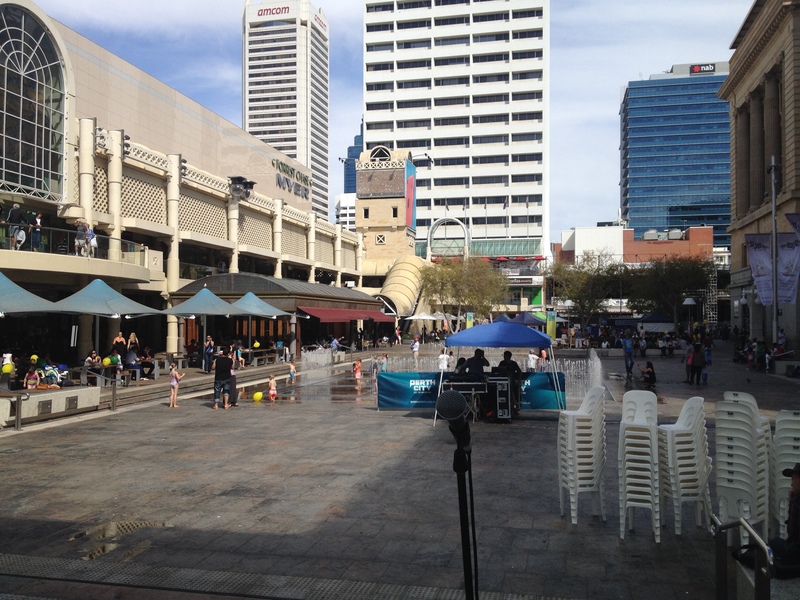 Worship in the Heart of the Perth Cultural Precinct? Since I wrote about this over a year ago, a lot of people have asked me when it’s going to happen? Honestly, it’s hard to put a timeframe on it. I suppose the Holy Spirit will engineer the right circumstances and the right people to get on board. I’m usually pretty impulsive when it comes to decision-making, because sometimes you’ve just got to do something and not think too hard about it. Over-thinking often leads to paralysis. But other times, things have to be birthed in their natural course of time and not be, as Shakespeare says, “from the womb unduly ripped”. But yesterday, I began to imagine again what it would be like if we had a full-blown worship event right in the heart of the city. Not performance art, not creative displays, but just worship. Of course elements of art and creativity will feature, but they won’t be primarily directed at a human audience, just at God. Get out of bed, Jerusalem! I think I caught a small glimpse of this yesterday, leading the small but enthusiastic crowd of believers who raised their hands and voices together in worship in Forrest Place, in full view of passers-by. The promise of Isaiah is God’s glory will break over us and nations will come to this brightness. As James MacDonald says, we were created with a longing for transcendence, and God’s provision for transcendence is His glory. And I believe what bridges us to His glory is full-hearted, passionate worship. It’s time for sacred space to be redefined!